Manning General Hospital was constructed in 1926 and 1927 under the direction of Dr. O.W. Wyatt. Built with a Spanish architectural style, the original hospital featured massive concrete steps that took patients directly to what is now the second floor of the current hospital. 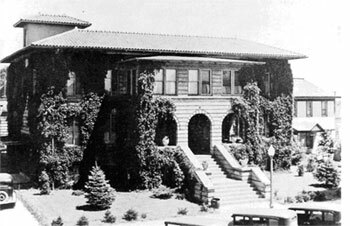 Outfitted with the most up-to-date technology of the time, the hospital, then known as Wyatt Memorial Hospital, opened in November 1927. The facility was named in memory of Dr. M.B. Wyatt, O.W.’s brother who died during an influenza outbreak in 1918, near the end of World War I. Dr. O.W. Wyatt practiced medicine in Manning until the early 1940′s. His son, Dr. Merlin Wyatt, also practiced medicine in Manning for several years before volunteering to serve with the Armed Forces in World War II. During the war years Wyatt Memorial Hospital was run entirely by the nursing staff. After the war, Dr. O.W. Wyatt retired, and Dr. Merlin Wyatt, having contracted a respiratory disease during the war, discontinued his medical practice. In 1946, Dr. R.B. Anderson purchased the hospital and operated it for several years. In 1949, Dr. Anderson sold the facility to the Community Hospital Association. Later that year, CHA changed the name of the facility to Manning General Hospital. Dr. Anderson and the other doctors retained stock in the new corporation and further issues of stock were sold in the Manning community. Later, Dr. Anderson gave his shares of stock, in equal shares, to five local churches. This assured that there would be a quorum for the annual meeting and put control of the non-profit organization into local hands. In 1975 the hospital building and the nursing home were joined at a cost of $28,000. This also included remodeling of the elevator to serve all floors of both buildings. In 1986, due to the need of space for outpatient clinic offices, it was decided that the hospital building and the old nurses annex building should be connected. This was completed at a cost of $95,375 and was remodeled to serve as offices for Administration. In January 1997, Manning General Hospital began a massive renovation. The project brought many new improvements, including two new birthing suites, additional offices, storage, and a new nursery located next to the central nurse’s area. Also in 1997, the name of the hospital was changed again, to Manning Regional Healthcare Center. With this change came the consolidation of three corporations: Manning General Hospital, Manning Plaza and the Community Hospital Association. 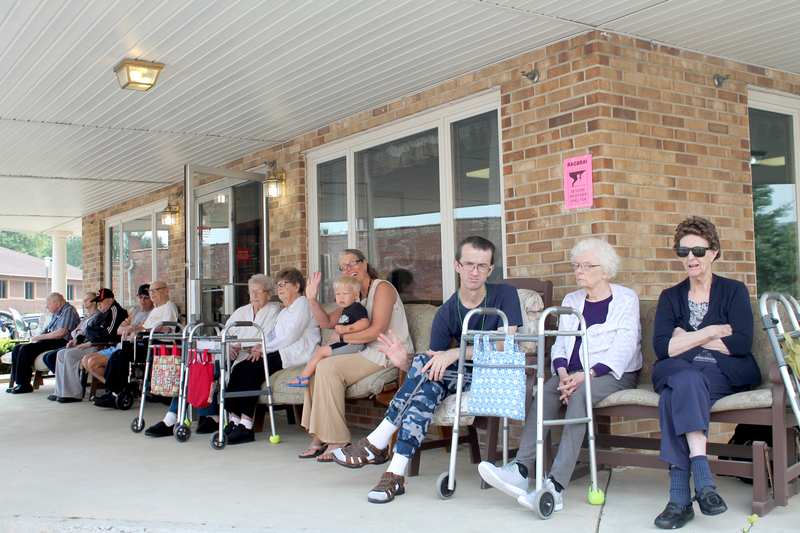 The total healthcare system was now under the umbrella of Manning Regional Healthcare Center. With the increased volume of outpatient services, remodeling and new construction was again a necessity. In 1999 Manning Regional Healthcare Center hired a contractor to construct a new wing on the east side of the Plaza and an addition to the south side of the Hospital. The total cost of this project was $4,500,000. Construction began in December 1998. The wing on the east side of the Plaza, completed in February 2000, included a new kitchen and employee cafeteria in the basement, two private and eight semi-private long-term care rooms on the second floor, along with a personal care room and a lounge. The addition to the south side of the hospital was completed in June 2000. A large parking lot was built to accommodate the new front entrance on the south side of the facility. The new addition houses a large reception area, the business office, outpatient clinics, central supply, a minor procedures area, recovery room and a large surgical suite. When the consolidation of the hospital, Plaza and Community Hospital Association took place in 1997, it was felt that the identity of the hospital portion of the healthcare system was lost by not maintaining a separate name. Therefore, in 2005, the Manning Regional Healthcare Center Board of Directors decided to re-adopt an old name by officially referring to the hospital as Manning General Hospital once again. The Manning General Hospital continues to be an important component of the total healthcare system at Manning Regional Healthcare Center. The hospital joins forces with the Manning Plaza, the Manning Family Recovery Center and the Manning Community HomeCare staff to provide a comprehensive four-part healthcare package close to home for residents of West Central Iowa. With all of the changes throughout the years, one thing stays constant: quality care from quality people. That is why you will find Your Trusted Experts Close To Home at Manning General Hospital.